24HHH at Horseshoe Canyon Ranch – a Unique Climbing Competition. Have you ever wanted to climb for 24 hrs straight and get as many routes in as you physically possibly can? These people did and many others have for the past 5 years. This unique climbing competition was dreamed up our friend, Andy Chasteen. It started out as a not very big, but fun event and then grew into a competition where pro climbers come to compete and they have to limit the number of teams that enter. If you want to read more about the comp. you can check out it’s official website at Twenty Four Hours of Horseshoe Hell. The HCR Trading Post is stocked and ready for business. The registration table is about ready to go. Friday afternoon, the day before the competition begins, people start to arrive. 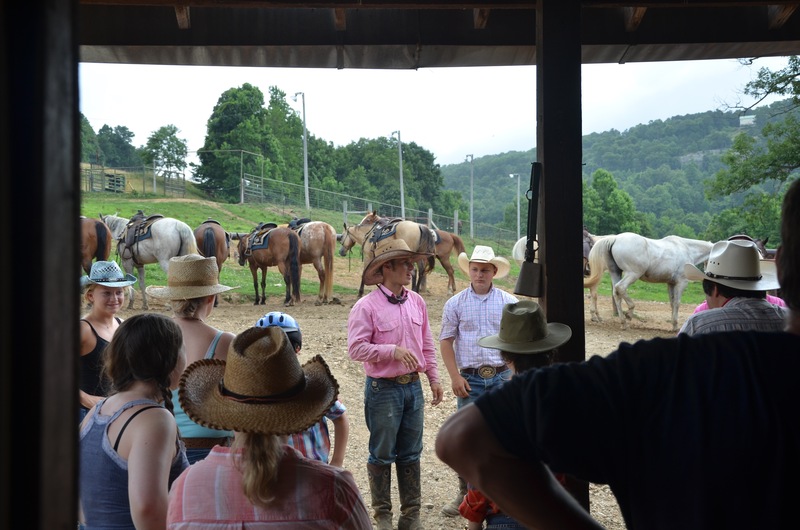 Horseshoe Canyon Ranch sponsors a spaghetti dinner for all of the competitors. There is a slack line competition, and live band. Saturday morning everyone meets in front of the Trading Post to get some last rules and regulations – the gun fires at 10:00 a.m. and the climbers are off to start their routes. Barry and the crowd below. Quite a few of the teams dressed up in costume. 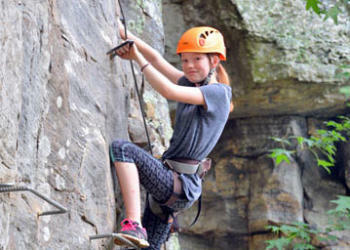 The climbers all have a plan – getting to your first climb as fast as possible. There are some routs more popular than others – so there is a wait to get on them. During this climbing competition we open up both sides of the canyon for camping because there are so many people. Barry, Brandi and Scott getting the fireworks ready that we shot at the 1/2 way point this year. Lucas Marshall – a great photographer that took some really neat photos at the comp. Lucas has some really cool photos of 24HHH click HERE to view them. You can’t have a competition without awards..
2010 turned out to be a great competition and we are glad it is held at the ranch. Next year there have been a few changes: spaghetti dinner will be on a Thursday night, Friday the comp begins and Sat morning it finishes with an after party. This way everyone who watched or climbed can get a good nights rest before they head home on Sunday. See you Sept 22 – 25, 2011 – Happy Climbing!